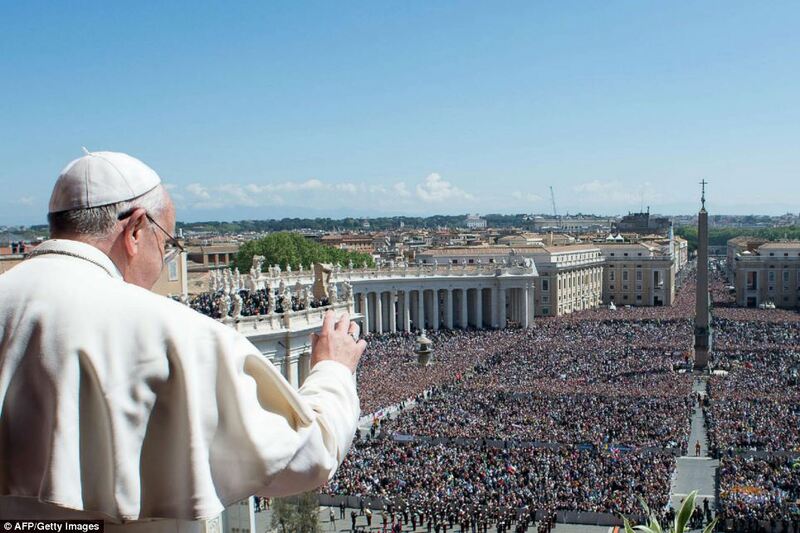 Today in St Peter’s square in Rome, Pope Francis proclaimed to the city and to the world the Good News of the Resurrection of Jesus Christ. This is his first duty as the Successor of St Peter – to imitate St Peter himself, who proclaimed the resurrection of Jesus in the first sermon preached by the Church on Pentecost Day (Acts 2). The Church throughout the world echoes the angel’s message to the women: “Do not be afraid! I know that you are looking for Jesus who was crucified. He is not here; for he has been raised… Come, see the place where he lay” (Mt 28:5-6). This entry was posted in First Communications on April 20, 2014 by Fr Peter.